Lucky Strike Hollywood also called “The Original” is the very first Lucky Strike location. Located at the historical Hollywood & Highland cross street, right next to the Kodak Theater (home of the Academy Awards), Lucky Strike Hollywood offers 19,000 sq ft including 12 state-of-the-art bowling lanes, tournament-quality billiards, and a private party room for you and up to 40 of your friends. 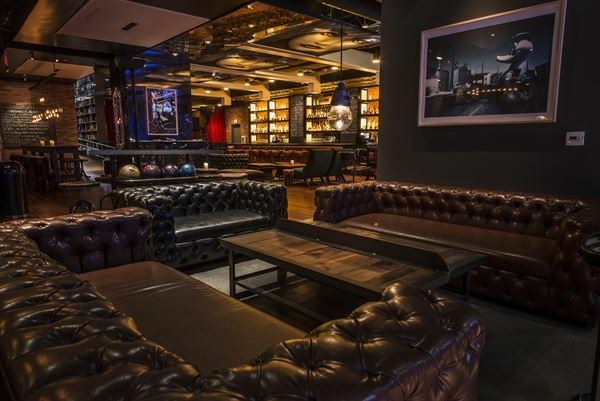 You can literally bowl with the stars, as celebrities including Robin Williams, Ashton Kutcher, Justin Beiber, and Will Smith have been known to frequent Lucky Strike Hollywood. Whether you are looking to book a private or corporate event or just a night out in Hollywood, you never know who you will see at Lucky Strike Hollywood!